In the past, we have already showed you how you can add Flash MP3 players in your Blogger Blog but since different browsers have different configurations. Therefore, most of the browsers do not supports flash, and this causes some mighty headaches especially when you are running a website totally based on music. Recently, one of reader asked us that How to Add HTML5 Music Player with Playlist in Blogger? Music players are deliberated as the main source of attraction for some common users. Therefore, today in this article, we will show you how to add HTML5 Music Player with Playlist in Blogger. The first thing you should do is to Login into your Blogger Dashboard through your Google account. After logging into your account, from the list of your blogs, select that blog on which you want to install HTML5 Music Player. Now go to Template >> Edit HTML and search for the ending </head> Tag. After finding the tag, just above it paste the following code. Once the whole thing is done, it is the period to save your template. Just press the “Save Template” button situated on the top right corner of your monitor screen. Now move to the next step ahead. The next thing is to add the HTML5 music player either in your sidebar or into specific page/posts on your site. This entirely depends on your needs, whether you want it into your sidebar, posts, pages or anywhere else. It would work perfectly well everywhere. Follow the following instructions properly. title: Represents the title of your music or song. author: The name of the person who composed the music. cover: Cover thumb image that appears when the song is playing. background: The image that appears in the background of the music player. Congratulations: After customizing, press "Save" button located at the bottom of the window. Now, go and check your site. I am pretty sure your site would rock now. Let us know about your thoughts on this amazing gadget. 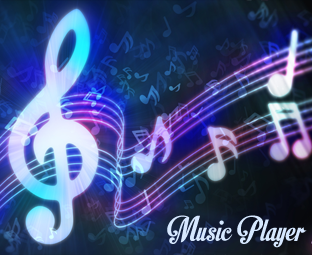 We expect that you have adored and learned how to add HTML5 Music Player with Playlist in Blogger. This gadget is tremendously robust and takes second to load, so it is understandable that it would not affect your site speed at all. Let us know what you think about it. Note: This widget won't work until you will customize it. so, make sure you correct customize it according to the instructions we have mentioned above. oh wao great design faizan, awesom work, is it responsive or not. looking great dear. Sorry we can only answer Blogger related questions. Hello! Thanks so much for this. I was wondering if you could help me with the mfile part. How do you get the mp3 link for that? hi bro can we play more albums by using this player and also i want to display the list of albums avaliable. I would like to add the album title. Would this require changes in the script or is it all html and css to fix that? And I found some problems. All browsers are of latest version. 1. I added this to my blogger page but in Safari it will only play the selected track and then it stops. But your demo is playing the next song. I then tried with mobile Safari in iOS6 this works. Strange. Then I tried with Chrome and it is playing the next song in the list but now it is not playing the songs to the end. There is a sudden stop at the end of the song and then it starts playing the next song. 3. The player is not working in Firefox. I have no Explorer 9 or 10 here to test with but maybe you could comment on expected behavior for these browsers. Great bro but can u tell me how to change its width and hight plzzzz..
Hi, the script has stopped working. on my site and on yours as well. I think I might has something to with not being able to access to this file: "https://googledrive.com/host/0B0WJjcJEFNziLXFVNjE1Mms2VkU" anymore. "403. That’s an error. We're sorry, but you do not have access to this page. That’s all we know." Could you fix it or provide me that missing file I'll host it on my server. How do we Add more songs on the playlist??? Right now it support only 5. You need to buy Premium version of this widget to add more songs. How to Edit the size of this Player? I need the player in 250px and another whit 350px, you can help me? The player takes a super long time to load. Literally a minute and a half and in all browsers. Is there a way I can make it load faster?